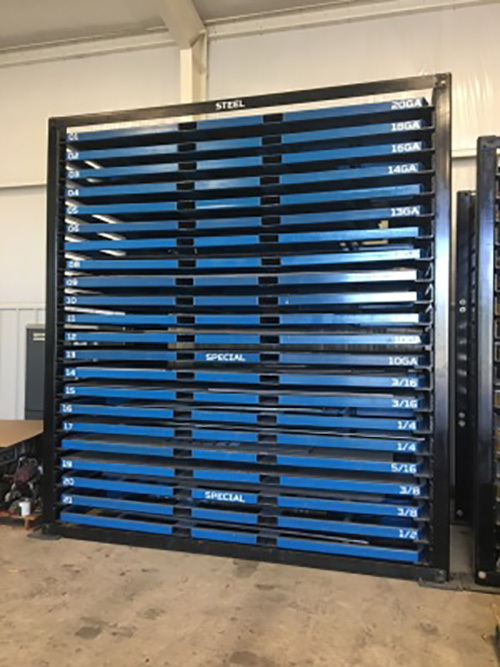 These are pictures of our sheetmetal rack system for managing all sheet and plate material. RiverCity has 3 of these racks. One for steel, one for stianless steel, and one for aluminum. This allows for the segregation of materials and prevention of cross contamination. 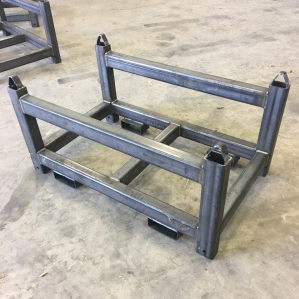 The 2nd image is a tube rack design we came up with for vertical stacks of miscellaneous tube, pipe, channel, & angle that are remants of jobs. Safe stack by using the hole at the bottom of the leg to pin to the rack below. Also allows for segregation of materials.